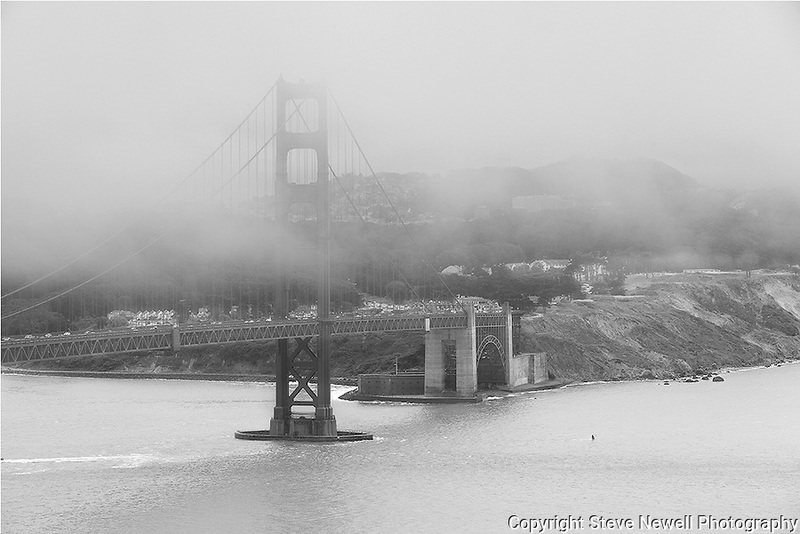 "Park and Ride" Black and White Golden Gate Bridge and The Presidio Park, San Francisco. This close up of the bridge with the Presidio behind it was taken from the Marin side of the Golden Gate Bridge. I was lucky to have the clouds blowing in off the Pacific Ocean and was changing every ten minutes.